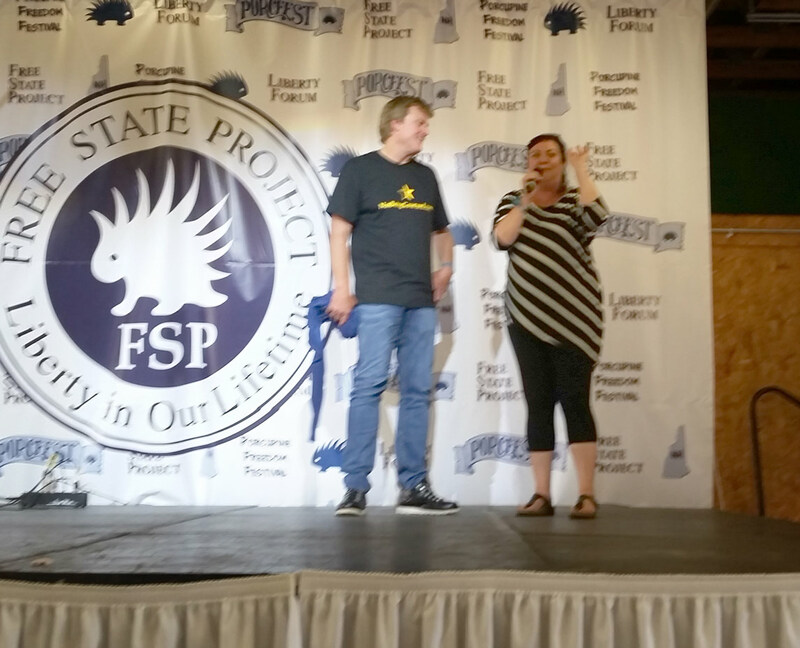 The Free State Project President standing with Patrick Byrne, letting the people in the audience know that the largest proportion of sales at Overstock.com using Bitcoin came out of New Hampshire. Byrne is the CEO of Overstock.com, who is getting behind Bitcoin because he supports what Bitcoin is, does, and represents. His business started accepting Bitcoin in January. 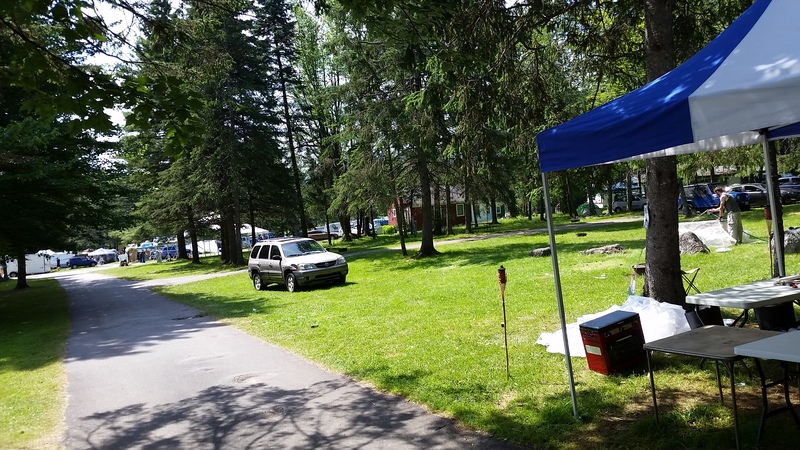 A nice scenery pic of PorcFest at Roger’s Campground in Lancaster, NH. 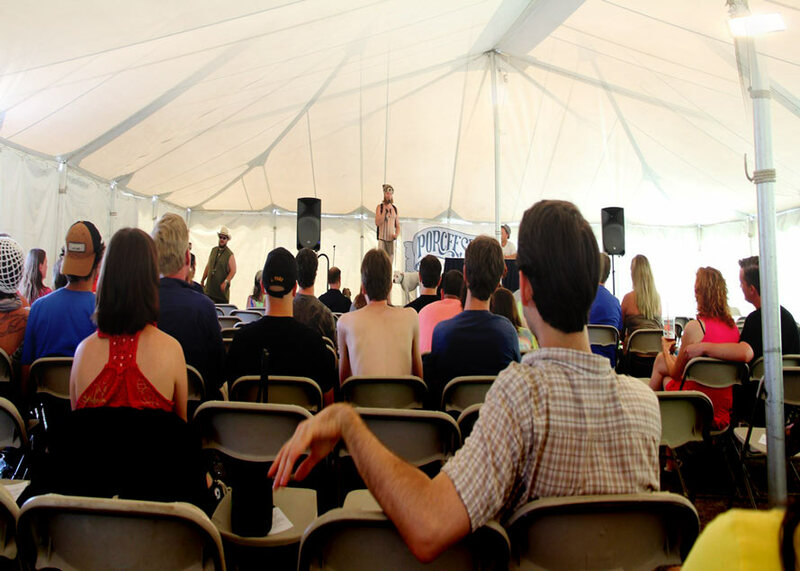 PorcFest was a week PACKED full of events! There were speeches, there were games, there were interactive events as well. Some of the more interactive events included dance courses, a knitting course, a fiction-writing course, and a “Build Your Own AR-15” workshop. A sample of some of the topics of speeches: preppers/survivalists, publishing in the 21st Century, Islam and the Zero Aggression Principle, creepertarians, and transition towns. And some of the speeches, the speakers asked for audience participation. Porcfest is openly advertised as an informal event. There were panels where there were demonstrations of: making biltong (a cured meat originating from South Africa), CPR/AED, making chapstick, how to talk on talk radio, and encryption. Unfortunately missing from this year was the “Soap Box Idol” and the “Roast Of ___” events. But that’s because nobody organized such an event! This is a do-it-yourself community and all that was needed for this kind of stuff is for somebody to step forward and choose to run such an event and bring the guests/speakers/panelists, set up signs, cover costs, do whatever needs to be done. People who wanted such an event to continue were free to step forward to volunteer to organize it. Sometimes you have to be the change you wish to see in the world (or week-long Free-Stater party in the woods). Here’s a recording of the Soap Box Idol from 2011. The funny parts are not only what is spoken but what the judges have to say. People had 3 minutes to speak about anything and were scored by 3 judges. The “Roast Of” events were done in 2011 and 2012. First one, Stefan Molyneux was roasted and the year after that was Chris “Ron Paul’s Freaking Giant” Lawless. The fact that people in charge of Porcfest were so laissez-faire about what kind of events could be held at Porcfest, seems to have resulted in such a wide variety of events. This is good! 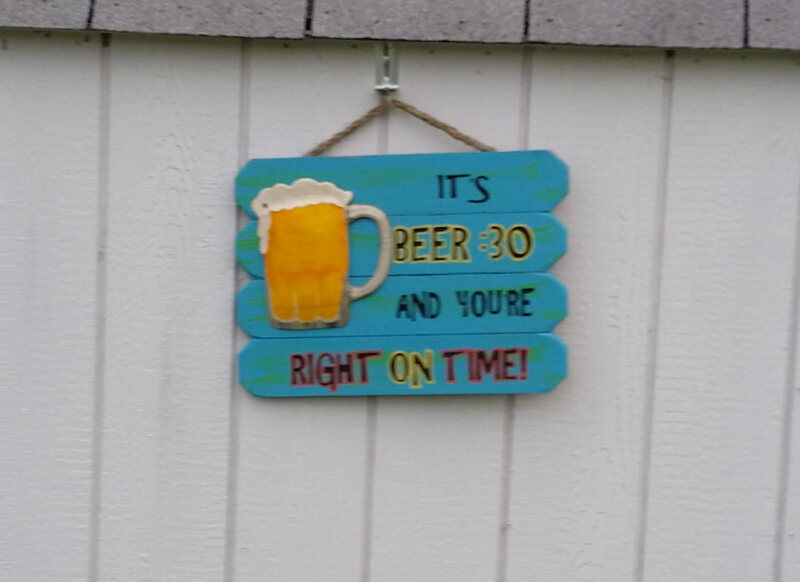 Sign on my next-door neighbor’s RV. They had the right idea!